Little Liffner is a Stockholm based womens accessories brand founded and designed by Paulina Liffner von Sydow. She got tired of dominant It-Bag concept and wanted to create something more personal, logo free and affordable: Vision for Little Liffner was born. The brand carries on with versatility and artless elegance. They believe in design that doesn´t define wearers style. Rather they want to flip this thought other way around. Design in this fur pouch from Little Liffner is simple leaving space for the material to speak for itself. First i. Read more..
Design in this fur pouch from Little Liffner is simple leaving space for the material to speak for itself. First impression is cute. When you take a another, closer look and crab it to your hand you will see the edgy rock´n roll potential. 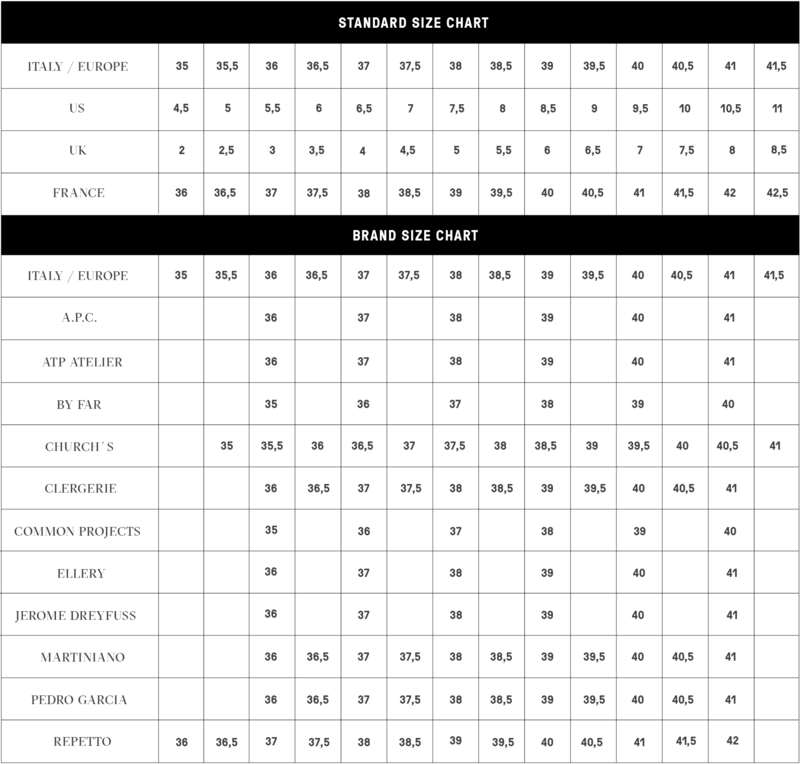 Front is made from soft lamb fur in natural white colour. Back side and details in soft black calf leather. Lining in black cotton twill. 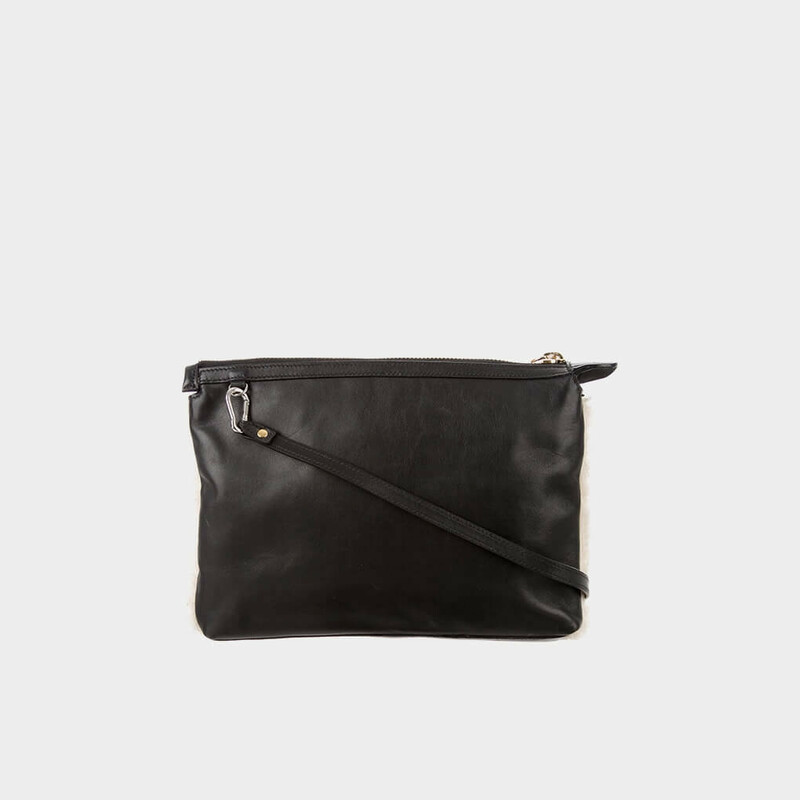 Features one internal zip pocket and one leather patch pocket for phone or important little things. Slender shoulder strap is detachable. Leather loop on top of the zipper to hang around the wrist and wear as a simple clutch. 1 x Shearling Shoulder Clutch was added to your shopping bag. 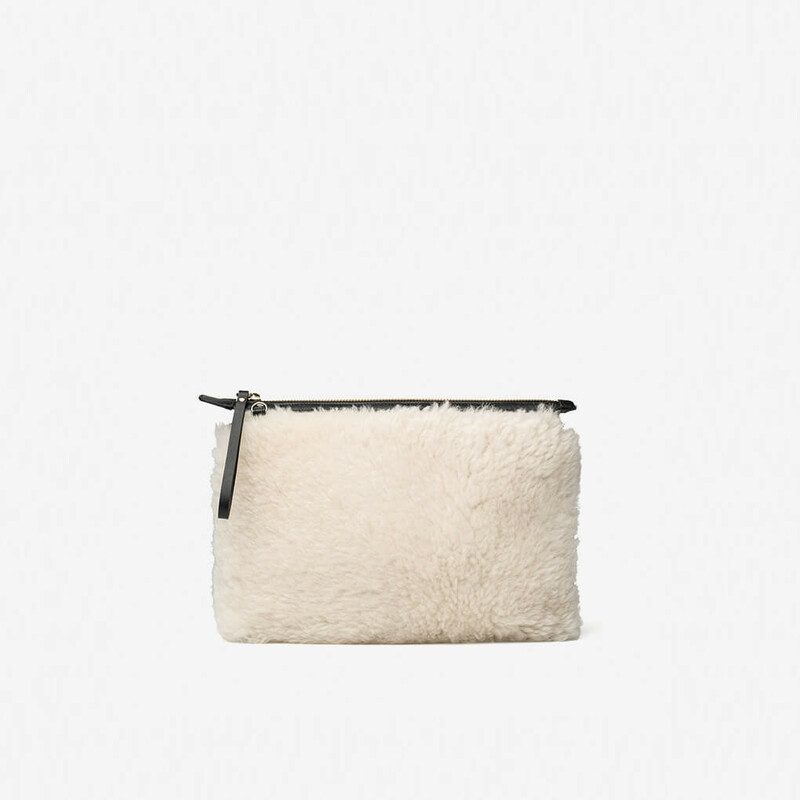 1 x Shearling Shoulder Clutch was added to your wishlist.